Even if you know nothing about VoIP, chances are you’ve heard the name Vonage before. We’ve all seen the commercials with the catchy jingles, and Vonage is probably one of the biggest names responsible for pushing VoIP as a business phone service into the mainstream. Labeled as a visionary in Gartner’s 2016 Magic Quadrant, Vonage has themselves in a strong position. But, how does a visionary in the market stack up against a known leader? After all, there will always be competition on the horizon. 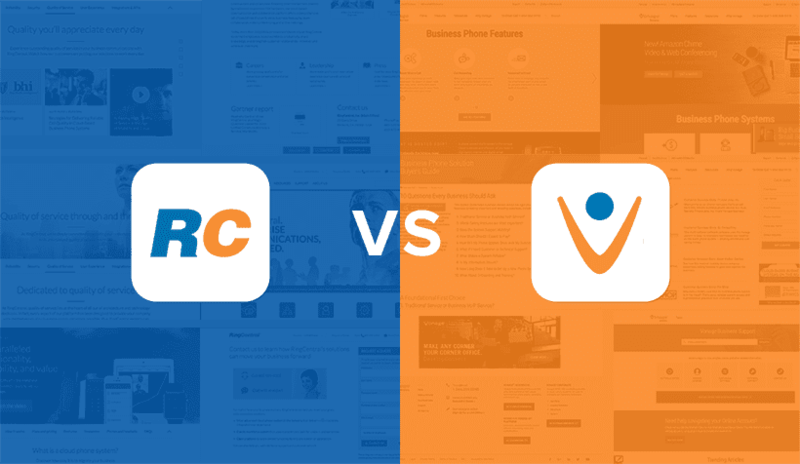 We recently took a close look at RingCentral compared to a few competitors, with Nextiva being their closest competitor we’ve seen so far. However, we had the chance to speak with Vonage’s CEO Alan Masarek last year for a better understanding on the provider’s master plan — and Vonage has been working on this master plan. With both RingCentral and Vonage Business being popular options and offering very similar pricing points, we wanted to see how the two stack up head-to-head. For this comparison, we are focusing directly on both provider’s most popular offerings and price points: Vonage’s Essentials Plan, and RingCentral’s Premium Plan. When it comes to pricing, some providers make it easier than others to understand exactly what it is that you’re buying. In fact, that’s why we’re here, to help you make sense of it all. But the lack of clarity can easily confuse shoppers, and endless sales calls can be tedious and time consuming. Since RingCentral and Vonage both offer a number of different plans at different levels, we wanted to focus on their most popular solution. This will help us round up the best apple to apples comparison for shoppers at a specific price point. We’ll take a look at each provider’s plan, how that plan breaks down into included options, and offer an understanding just what your money is going to. RingCentral was originally founded as a cloud-based IP PBX solution for businesses, and the provider has only continued to grow the solution. The first thing you’ll probably notice upon visiting their website is that RingCentral offers three levels of plans and pricing. They also do a great job of outlining these plans on their website. We always like it when providers make it easy to see what you’re getting — this of course makes our jobs easier, and makes it easier for a business owner to understand what they’re getting themselves into. Now, three plans are fairly common, but since we’re comparing to Vonage, our main focus will be on RingCentral’s mid-tier Premium Plan. RingCentral’s Premium plan both offers the closest price and feature comparison to Vonage, and is also considered the provider’s most popular plan. So it makes sense for us to focus directly on the Premium plan, right down the middle, as it’s what most business owners will be considering anyway. Overall, RingCentral manages to come in slightly lower that the start at $34.99. For those unfamiliar, the power of Cloud-hosted solutions is what keeps everything, the entire platform and service, simple. Since everything is hosted in the cloud, your business barely has to worry about anything. From features to lines to voicemail, it can all be easily configured in the providers’ online portable. Since everything is in the Cloud, platforms offer a flexible, scalable solution that will grow with your company. 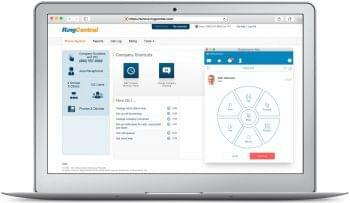 Looking closer at what’s being offered, RingCentral’s Premium plan builds off the base that the Standard starts: upgrading users to more toll-free minutes, 25 users per conference meeting, as well as some extra phone features like HD Voice and inbound caller ID. You can take a look at the complete list of included features below. RingCentral also uniquely offers the Glip app for their collaboration and UC elements, which does pair nicely with the entire RingCentral Cloud PBX solution. So, if you’re looking to simplify everything, from your phone to your collaboration and team messaging, RingCentral is a compelling option. On the other hand, when it comes to Vonage, both the origins of the provider and results that are being offered are a bit different from RingCentral. Originally focused on the residential side of VoIP, and at least partly responsible for pushing VoIP into the mainstream, Vonage was able to leverage their success in one market to enter another. In 2013 Vonage acquired Vocalocity to really push headfirst further into the Business market. But, unlike most providers, Vonage keeps things a bit further under wraps. With only two major plans to choose from, as opposed to three, Vonage breaks their offerings down between SMB with Essentials and and Enterprise with the Premier plan. But, Essentials is also Vonage’s most popular plan, with less businesses opting for the Premier plan. So, at a very similar price point compared to RingCentral’s Premium, Vonage’s Essentials plan comes in at a starting price of $39.99 per line. However, it is worth noting that Vonage does pricing a little bit differently: purchase more lines and your cost per line goes down. So while the price begins at $39.99 per month per line, advancing to just 6-9 lines brings this down to $29.99. On top of this, Vonage shakes things up a bit further by also separating certain features into “add-on” options. The real benefit here is that certain options can be purchased and excluded on an individual line basis. So, you can purchase a specific feature per line in order to build out a solution the exact features your team needs. This means you can purchase say, paperless faxing for one user, but not have to pay for it on every other phone line. While RingCentral offers toll-free minutes with their plans, Vonage separates toll-free numbers and calling into a separate solution. However, both providers offer unlimited calling for each month, users just pay for their phone lines. Also important to note, while RingCentral offers Glip included, Vonage counters this by including Amazon Chime for free. VERDICT: Vonage Business offers the best bang for your buck when it comes to features included with your plan. While the initial cost of Vonage’s Essentials plan is slightly higher than RingCentral’s premium plan, the extra features you gain can easily outweigh the minor price hike. Besides, if your team needs more than six lines, Vonage begins to lower the cost per line. Vonage also scores a few points with their flexibility, only pay for the add-ons you need per line. But with some powerful features voicemail to text included right out of the box, Vonage’s essentials plan makes a compelling case for the SMB that needs a truly powerful solution. Although, it is worth noting, that if your business does require Toll-Free Minutes, RingCentral might offer a better option with certain minutes included in your plan. At this point, if your team is not leveraging some form of a collaboration or messaging solution, you’re not reaching your full potential. We’ve talked a bit before about why team messaging and collaboration solution are so useful and why they should replace email. But it’s something worth talking about again, especially when it becomes a key component of the entire UC solution you are purchasing. RingCentral has a slight edge here right off the bat with Glip. I’ve also taken a close look at Glip compared to Slack, if you want to check that out. 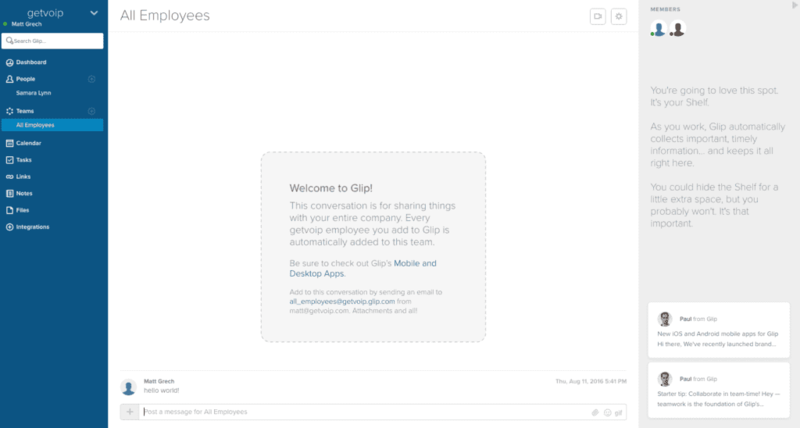 But overall Glip is a chat-based communication platform: it includes team messaging with the powerful collaboration and project management tools you need. Meanwhile, Vonage on the other hand has recently begun shipping out their plans with access to the new Amazon Chime solution. I also went hands on with Chime which you can check out in depth. So how do they compare? When comparing RingCentral to any other provider, one of the truly unique aspects is the inclusion of a free subscription to Glip. During my comparison, I actually came away enjoying Glip just a little bit more than Slack, which could say a lot. Overall, Glip is a really powerful collaboration app, and one I’m willing to recommend over more popular solutions. It’s one of my favorite Slack Alternatives. RingCentral allows your team to replace other third-party applications and keep it all under one roof. You can remove Slack for communications, and I even recently included Glip on my list of Basecamp alternatives for project management. Vonage doesn’t have their own unique solution. In Vonage’s defense, RingCentral acquired Glip and it didn’t begin as an in-house solution. However, it is now and it plays nicely with everything else RingCentral has to offer. But one could argue that Vonage has done even better, and instead of acquiring a solution, they partnered with Amazon to include their new Chime solution for all of its users. This is a pretty important distinction to make. 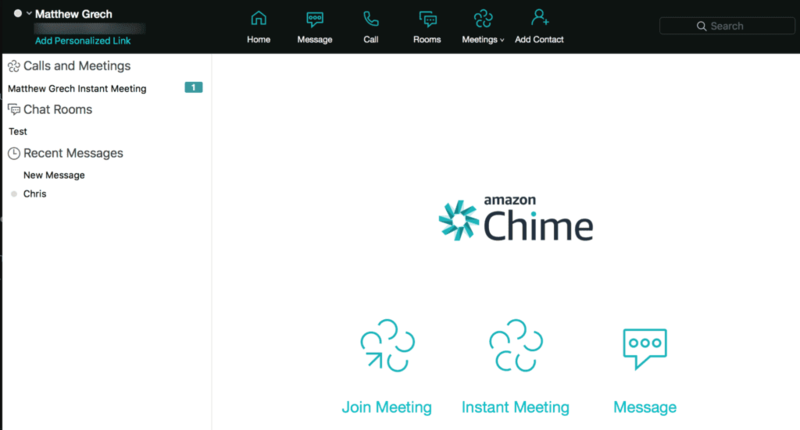 Amazon Chime is the retail giant’s first push into the UC and collaboration market, and its by no means a bad one. We recently also saw the birth of Amazon Connect, and the Amazon Web Services have existed for quite some time now. This partnership between Vonage and Amazon is a very lucrative one, and holds promising for the future. Who knows what might creep its way back to Vonage customer’s as this partnership, and Amazon’s presence, grow. When compared to Glip, Chime does a different job, but does it well. VERDICT: Draw – I always like to tell businesses that there isn’t a best solution out there. Rather, there is a best solution for what each team prioritizes, and how each team works. Glip would make a lot of sense for any team that really enjoys their messaging. Glip also makes a strong case for editorial teams with document sharing and editing right inside. 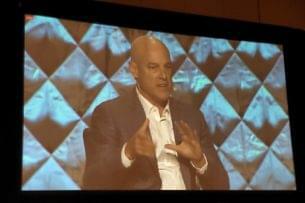 However, Vonage also makes a very strong case for collaboration with Amazon Chime. To begin with, Chime is a solid solution with Enterprise functions, security, integrations and great features. With the name and servers of Amazon behind Chime solution, the future is much brighter for Vonage in this space as well. With a strong focus on very simple video meetings and collaboration, Chime would make sense for a team that needs the best video and messaging collaboration platform possible. At this point we all know how crucial customer service can be in an industry. If a provider or business is unable to offer satisfactory support, then consumers will shift to another option. Its almost a fact of life, at this point. But when it comes to UC and VoIP, customer service is even more crucial — especially for cloud solutions. The beauty of the cloud is that nothing is done on your end, except for using the platform. That means everything is installed, setup, handled, and maintained on the provider’s end. But that also means that if something goes down, you’re at the mercy of the provider to ensure the problem is fixed, and fixed in a reasonable amount of time. Now, the chances of an entire system or network failing is pretty slim. In fact just about every provider ensures redundancy in their network so that if one goes down, the system can shift and still operate. But there still exists a pretty high possibility of a less crucial issue arising. This could stem from your phones not working, to calls dropping, or features missing. The point is that there is a pretty solid chance you or your team might have to get on the phone with the provider to work things out. So just as many others do, we rank support highly when comparing providers. We like to base our support rankings off both the options available, but equally the experience customer’s tend to write about. We look at our database of user reviews, along with the options and information out the web to come to a verdict on which provider we feel can offer better support. As we saw in our Nextiva comparison, RingCentral strives to offer as many channels of communication as possible for all of their users. But while RingCentral does make it easy to contact support if necessary, users tend to feel the support they receive is not the strongest. Beyond the standard phone support, customers can utilize online chat, or even email support. Probably one of the largest differences we’ve come across in these two providers is when it comes down to their options in support. Now, RingCentral is known for opening up as many channels as possible in their approach, but more does not always mean better. While Vonage is a bit more slim on the support options when it comes to methods of contact, they certainly don’t fall behind for the quality of service they provide. While customers will have to call into a support line with any issues, at least for the Essentials plan, caller overall seem to be very satisfied with the service provided. U.S. based customer service is always a big plus for a provider in this day and age as well, with the recent backlash from consumers against out-sourced support. But where Vonage is lacking compared to RingCentral is in the number of channels to contact support available. 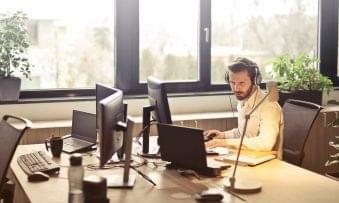 This is the clear difference between a call center and a contact center: while RingCentral offers a medley of contact options, Vonage is stuck with the legacy method of simple phone support. It also seems like 24/7 support is limited to “Mid Market and Enterprise” customers. VERDICT: RingCentral manages to offer more channels of contact for support which might benefit users that cannot always hop on the phone and make a call. Vonage, however, is able to laser focus their support into one channel to leave callers satisfied. Based on how your business prioritizes support, Vonage’s personalized approach might work better than RingCentral’s shotgun method. But if all you need to do is receive an instant answer, RingCentral has more channels. On top of their support channels, like most providers, RingCentral has also put together a rather large Customer Care Center. This section of their website is simply a database for all users to find the information they need before they have to pick up the phone and call in. Sometimes it can be much simpler to find the solution online, instead of having to deal with the long wait times, or outsourced agents. Since problems can be fixed by users before calling him help, like the most common VoIP implementation problems we took a look at, these databases are important. 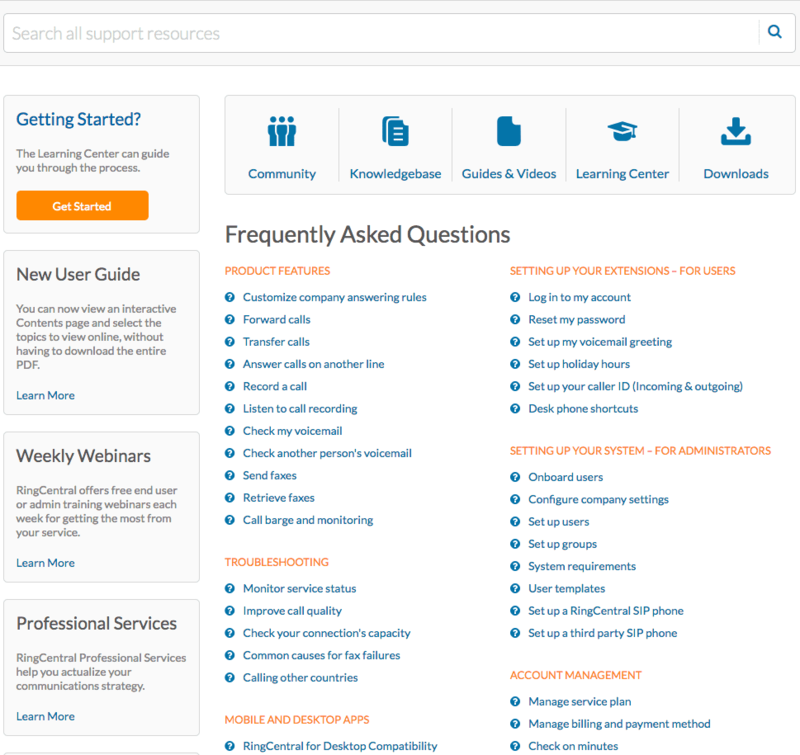 RingCentral’s Customer Care Center offers users access to the Community to ask questions, a “Knowledgebase” of common issues, “Guides & Videos”, or the “Learning Center” for RingCentral sponsored classes. While RingCentral might be known for customer service channels, Vonage matches and almost outshines RingCentral when it comes to the abundant resource of self-help options. 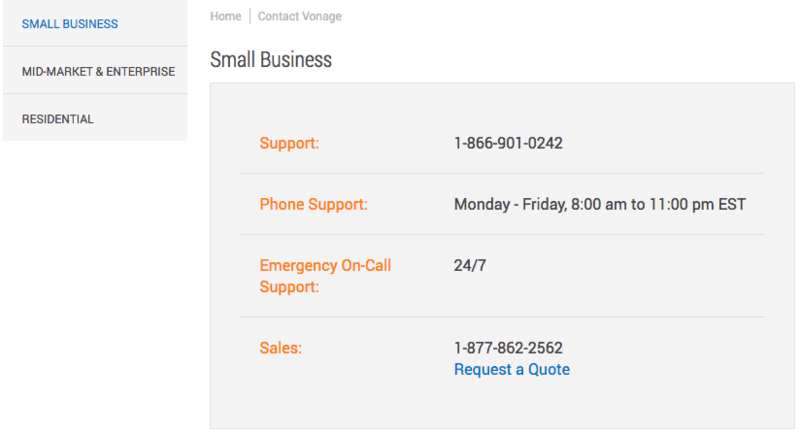 Just like RingCentral, Vonage provides its users with an extensive online database organized neatly into different help sections. 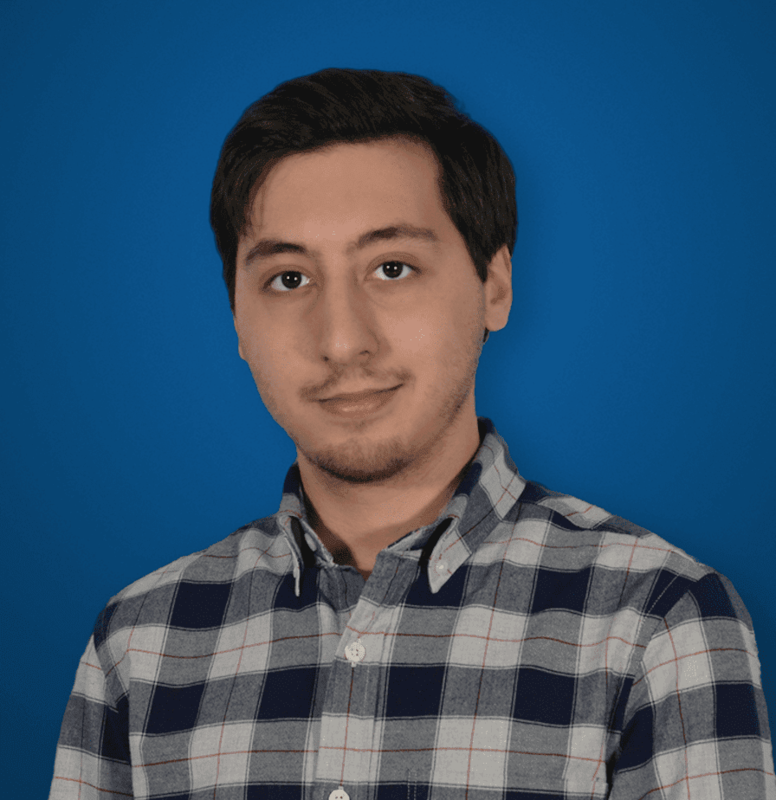 Again, these databases are crucial for most users as they would prefer to solve the issue themselves, instead of having to spend time with support agents. 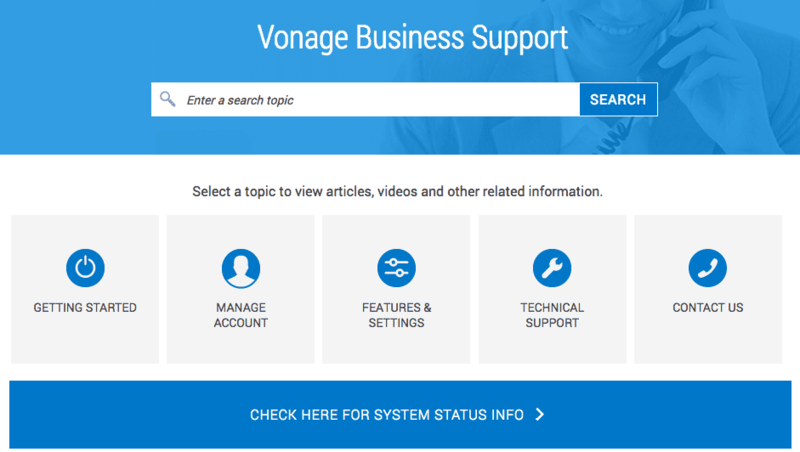 Whether your team needs information on how to setup their phone system, manage their account, configure settings and features or even in-depth technical support, Vonage’s massive database has you covered. At the end of the day, it can be way easier to solve an issue, or learn how to use the system, on your own without waiting on hold for what feels like hours. Vonage also includes video tutorials, an on line FAQ database, and overall a much nicer presentation of their information. The link to see System Status is right on this page as well, and available to the public, not just users that can login. VERDICT: Vonage manages to offer an easier to navigate and utilize customer resource database. RingCentral offers a unique community forum, but at the end of the day when you need answers and you need them fast, Vonage’s knowledge base seems to offer the better experience. As I’ve said in the past, User Experience is key to adoption, and Vonage seems to understand that here. When trying to solve a problem, the last thing users want is a headache just to find the information. Thanks to Vonage’s clean layout and clear organization, we found our way around the database without any hiccups. Everyone has been talking about integrations recently. We originally included integrations in our list of 2017 UC trends, and they won’t be going anywhere anytime soon. Integrations allow us to link multiple tools together, saving crucial time and simplifying our work. So when it comes to your VoIP and UC solutions, it’s important that your new solution will integrate with the tools your team is already using. Now, integrations are a bit different: just because your provider does not offer one out of the box does not mean it’s impossible to integrate those solutions. In fact, if your team has an in-house developer, or can work closely with your provider, it’s entirely possible to build any integration you need. Or, as we saw when compiled a list of VoIP providers that integrate with CRM solutions, it’s possible to even utilize a third-party integration platform. But for the shoppers that want something ready to go and out of the box, this can be a make-or-break section. Interestingly enough, Vonage was one of the original providers to even include integrations out of the box so it will be curious to see how RingCentral has managed to catch up. VERDICT: Draw – At this point, integrations are a key aspect to any system. Vonage deservers a lot of credit, as one of the first providers to push Integrations and include popular options out-of-the-box. At this point RingCentral has managed to catch up, but with a very similar list, it would be difficult to sway this either way. Depending on your business on how your team works, different integrations matter more to different teams. Businesses can even work closely with any provider to build the unique integrations that their teams need. Vonage’s sales process leans towards a customized and personalized approach to each system, and should make the whole process of building new integrations much simpler. This alone can save your business from a lengthy and problem filled implementation process. While customer service is important when things go wrong, a proper network will ensure that things can never go wrong from the start. But issues do arise, especially with technology. We do not live in a perfect world, and even massive outages from the biggest servers can and do happen. So, even if your provider has the most robust network with redundant data centers that are operating properly, it is still possible to experience less than expected call quality, among other issues. For this reason, it is crucial to ensure the provider of your choice not only guarantees quality, but make it as simple as possible for customers and users to gain the insight they need when an issue does pop up. Many providers will offer some form of a status indicator website, similar to their online self-service databases. These tools allow clients to peek into network status and see what, if anything, is online or offline. For that extra level of security and assurance, some providers will even go the extra mile to engage their clients in a Service Level Agreement. Generally you have to poke around in the fine print to find this, but essentially this agreement would state that for your contact, the provider will assure service does not drop below an effective, agreed upon level of reliability and avaiability. Generally, a provider’s network will be made up of numerous servers located around the world, or at least where their network is available. While we are not sure how many servers RingCentral operates, they do assure us that their network is fully redundant. As we’ll see later, we also know RingCentral does seem to spread their presence overseas so we can be sure that redundant data centers are available all over the world, as well — not just in North America. Beyond network redundancy, RingCentral boasts a 99.999% service availability and uptime. RingCentral will also enter a SLA with customers, something some providers are less shy to accept. For checking your status, RingCentral does not have the most accessible approach, but users can log into their account and gain access to a really useful tool. RingCentral provides a whole volume of different metrics to gauge network status. This ranges from a generic “Overall Service Status,” down to specific functions like “Inbound Calls” or “Inbound SMS” functions. Its all very detailed and in-depth. Details regarding Vonage’s network are just as hard to come by. Some providers are willing to share this information in big letters right on their home page. Others prefer to keep their secret sauce, well — a bit more secret. Vonage does leave their description to be minimal, but at least explains their network is the “largest nationwide MPLS IP network of any US-based provider.” Everything is claimed to be scalable, reliable, and private. However, when going a bit deeper, Vonage does not seem to offer much more in-depth information. In fact, it seems that Vonage does not guarantee a level of service uptime, like RingCentral does. It also does not seem like Vonage will engage clients in a Service Level agreement. However, Vonage likes to do things on a case-by-case basis: many options and fees can be changed or waived based on the individual contract you enter with a sales agent. So when shopping, if Vonage is on your list, it would be worth asking about an SLA to see what they can do for you. 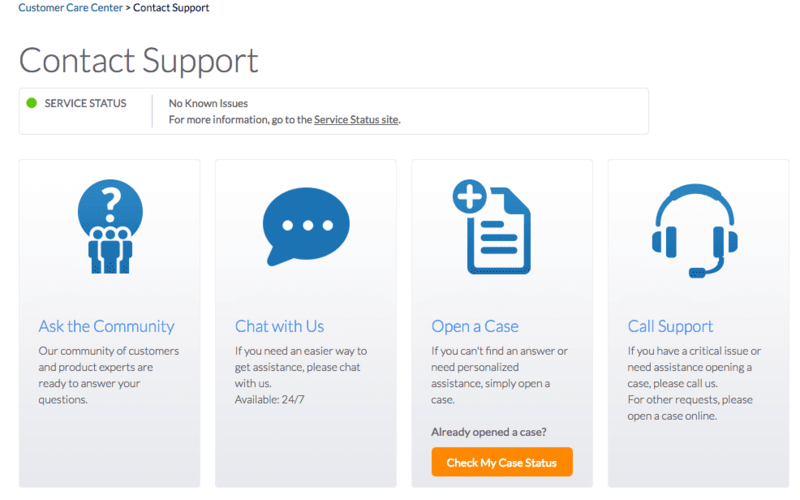 But if you just want to check the status of their network, Vonage at least provides a page in the Support section of their website. 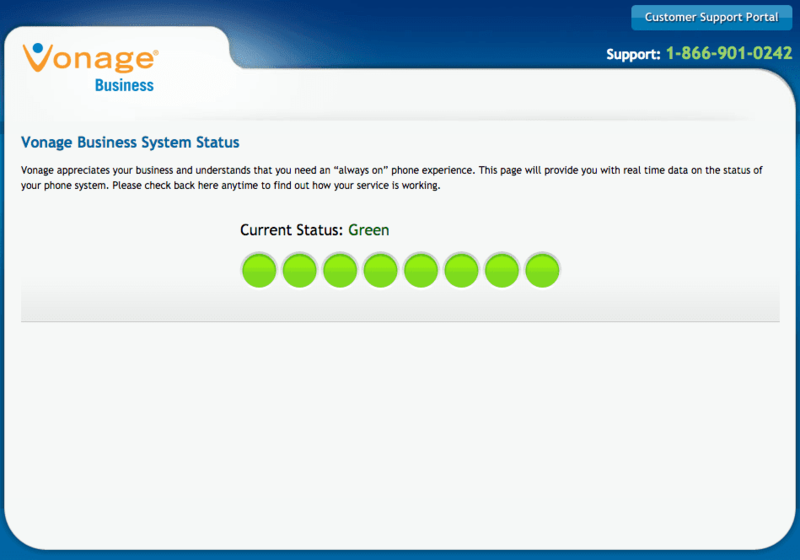 Although, unlike RingCentral, this page is very basic: a simple “Current Status” indicator accompanied by 8 circles, color coded to the current status. When things are good, the circles are green. Other than that, it seems like you are on your own. VERDICT: RingCentral might not have a better network that Vonage, but the provider does offer even more information. 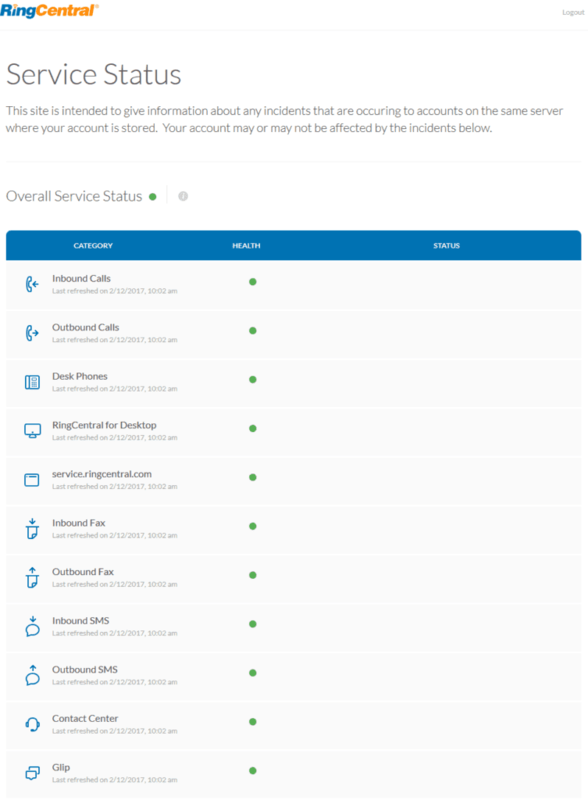 More importantly, RingCentral not only makes it easier to get in touch when things go wrong, but they offer a bigger resource of status information. In the end, RingCentral simply goes the extra mile here and makes everything easier for the user. The availability a provider is able to offer is impacted by a number of different factors, but their level of availability does tie in closely with the network structure and reach the provider operates on. If a provider does not have any servers in the UK, for example, then they cannot offer UK-based service. For most readers, it will not matter too much: if you are US-based and operate in North America, both providers will do the job. The issues arises when your team operates outside of North America that you may run into trouble with a smaller provider. So, while it seems that RingCentral simply crushes Vonage here, the comparison isn’t that simple. Both RingCentral and Vonage are completely capable of receiving and dialing international calls. In fact, Vonage was included in our list of The Top 6 Providers for International Calling for home phone solutions. When it comes to the business end, Vonage is capable of offering receiving calls from around the world. But what differs is the availability of numbers around the globe. RingCentral flat out lists availability for their Office platform in multiple countries around the world. Meanwhile, Vonage is only focused on the United States. However, if you need to make international calls, Vonage allows you to turn such a feature on, and make calls based on global rates, which you can view here. VERDICT: RingCentral only if your business prioritizes having an international phone number. RingCentral lists international service availability on their website for a wide coverage net around the globe. On the other hand, Vonage matches this with an inexpensive list of international calling rates for the business that does not need a massive overseas presence. Anytime you schedule an Uber, and receive a text message update to let you know when your driver is on their own, you are unknowingly utilizing a new platform of technology. Well, relatively new, but quickly evolving into a very crucial market sector. What I’m talking about are API and Developer Platforms. Essentially, providers are now selling access to their network for developers and teams looking to build their own communication solutions. These solutions let developers create and build their own communication apps, or simply send customers and users text messages to verify information, like your Uber driver’s arrival, or the boarding pass for your next flight. With the most obvious example being Uber, we are all interacting with these text messages or even phone calls on a daily basis. Ever try to log into your bank account online but need a text message code first? That is again powered by Twilio or many of its competitors. At this point, Developer and API platforms are becoming standard aspects of a UC provider’s solution stack. With RingCentral and Vonage stacking up so closely, and both offering their own Developer platforms, we wanted to take a look there as well. Vonage has a leg up on the competition here, since they brought in an existing solution, and one of the best. However, RingCentral hasn’t been totally asleep here. With their RingCentral for Developers platform, users can create their own unique messaging solutions, or power the helpful voice and text message notifications we are more familiar with. 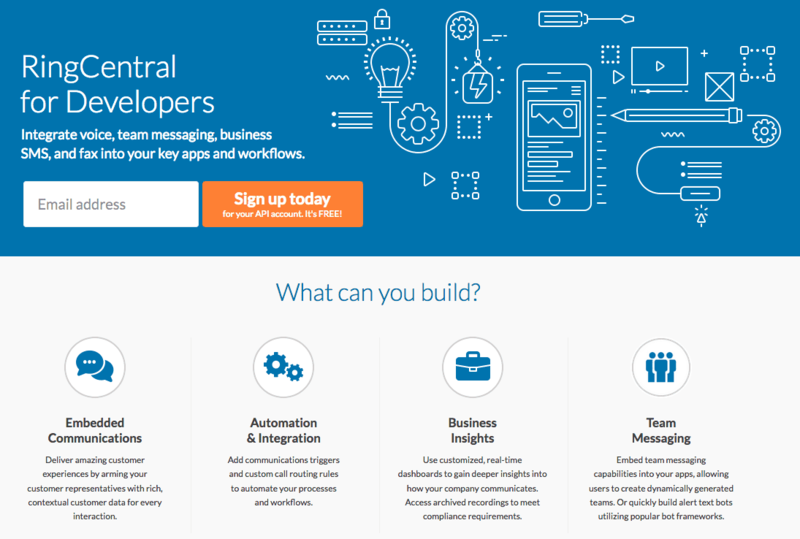 What’s worth noting is that RingCentral for Developers is currently in its Beta form, and is not a completely finished or polished product just yet. However, Vonage does offer access to the Beta program for free, just by submitting an email. The features advertised seem to be standard, allowing users to build Embedded Communications, Automation and Integrations, Business Insights, or Team Messaging solutions. However, this only compares to Nexmo, which is already a completely, fully established solution used by thousands. Credit where its due, and RingCentral is clearly keeping up with the competition. So, Vonage made some really big waves in this space back when they acquired the Nexmo. In fact, Nexmo is considered Twilio’s biggest, and closest competitor. As a big benefit to Vonage, and Vonage Business customers, Nexmo has one big edge over Twilio – an international presence. With an original focus on the overseas market, Vonage’s acquisition of Nexmo allows them to marry the two markets together. Bring the Developer Platform into the U.S. mainstream, while also a building block to help bring Vonage services overseas into Europe, Asia and other large markets. You can take a look at my in-depth review when I compared Nexmo and Twilio head to head, but overall Nexmo is one of, if not the, strongest Developer and API platform out there right now. Backed by Vonage’s network, with a strong international presence, robust services, an extensive feature list, and a powerful platform to build from, Nexmo is a very difficult giant to topple down, unless you’re Twilio. And even then, you’ll have a hard time. VERDICT: Vonage made a very, very smart move by acquiring Nexmo when they had the chance. As one of the biggest Twilio competitors, Nexmo is a huge driving force for Vonage, clearly separating the provider from its competitors in this specific space. Building off the Nexmo platform, Vonage can leverage an international presence to expand their service. 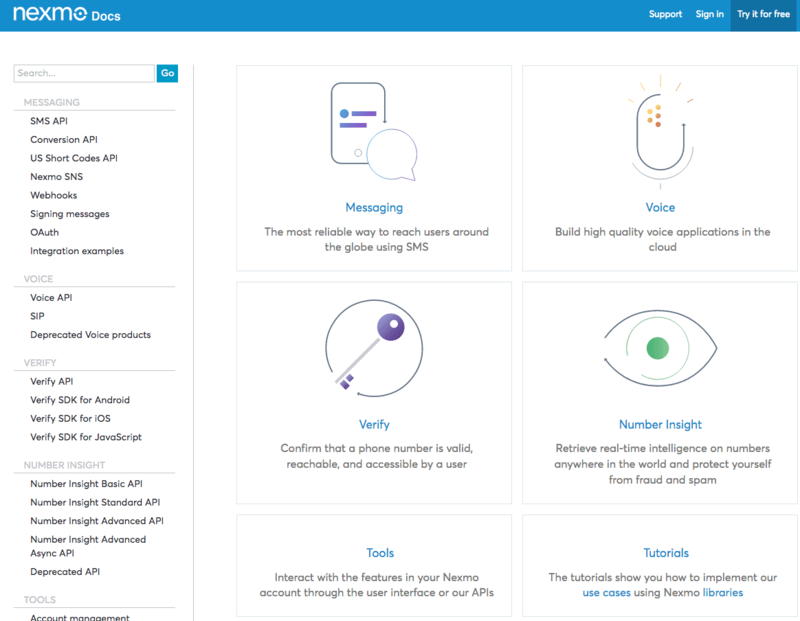 If your team is looking for the best of the best when it comes to Developer and API service platforms, then Nexmo and Vonage together has to be one of the best solutions money can buy. All of the information we source in our comparisons has been taken from the provider’s website directly. We attempt to engage these comparisons under the lens of business owners shopping for their own solution. Therefore, we gather only the information that would be available to business owners, and that can be found easily around the web. Unfortunately for Vonage, the provider does make it a bit more complicated to uncover all relevant information for this comparison. Your business has more than five lines to bring the individual per each cost down. Your team needs the best of the best and would benefit from Vonage Business, which includes some more powerful features off the bat. Your business can work closely with a sales agent, or jump on a promotional offer — Vonage Business might even blow away RingCentral’s offering. Price is of utmost concern; RingCentral is cheaper with slight limitations on its features. Your business has a strong international presence as RingCentral can offer international numbers and data centers around the globe. Your team needs more than just VoIP, and is searching for a powerful collaboration and messaging platform at the same time. At the end of the day, we attempt to trim down the fat to offer the closest apples to apples comparisons we can possibly offer. In this case, we wanted to focus directly on both providers’ most comparable, popular business phone plans. From there, we went into some more broad information and offerings we have looked at in the past, such as customer service and network availability.